Salman and Shah Rukh Khan, who had starred together in 1995's Karan Arjun, watched a song from the film and took a walk down memory lane. Salman shared a video of the two on Instagram caption, "Karan + Arjun ... fond memories." He recently made a cameo on Shah Rukh's film Zero. 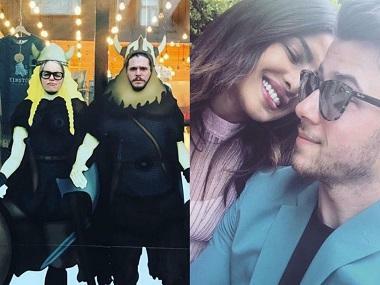 After spending Christmas in the UK, newlyweds Priyanka Chopra and Nick Jonas hit the snow clad mountains of Switzerland to enjoy a ski vacation. The actress, who will be seen in The Sky is Pink next, shared some photos from her trip for her fans and followers. Dhadak star Jahnvi Kapoor is the cover girl for the upcoming January issue of Cosmopolitan India. In the photo, the actress sports a shorter do along with bangs for which she said in a video posted on Cosmo's Instagram, her dad would kill her. Jahnvi will be seen next in Karan Johar's multi-starrer Takht. Kajol and Ajay Devgn shared more photographs from their family vacation somewhere in picturesque Thailand. 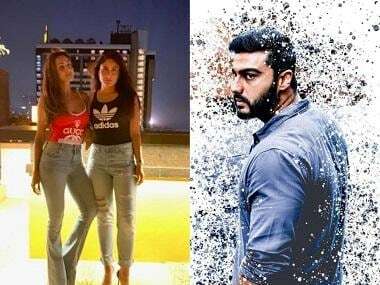 Arjun Kapoor and Jahnvi celebrated sister Anshula's birthday along with father Boney and youngest Khushi. They wished her on Instagram, sharing photographs along with sentimental captions. 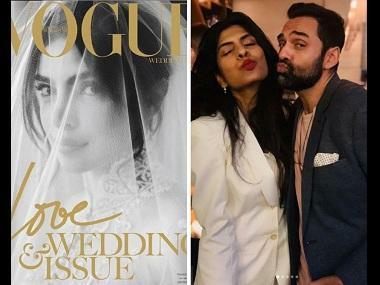 Before the new year hits, Bollywood celebrities took a moment to reflect on their most cherished moments of 2018.